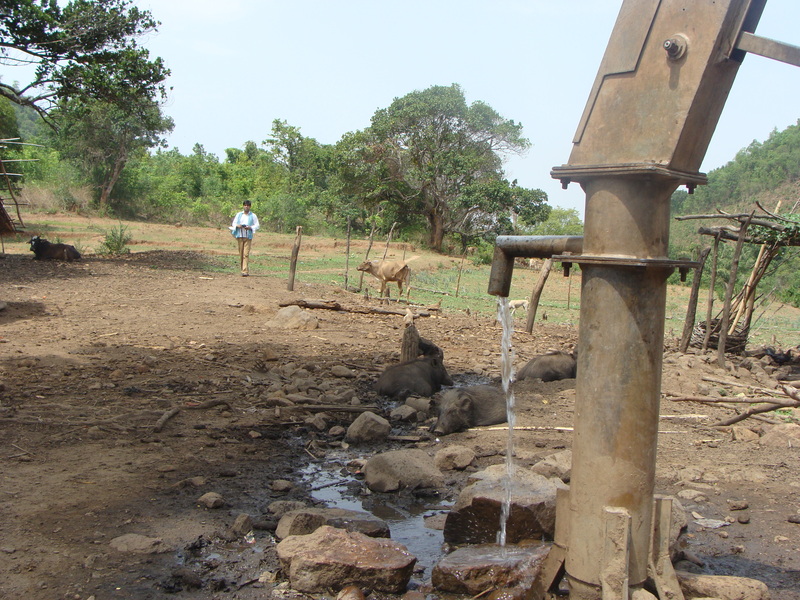 Livelihood Links to Poor Water Quality in India: Alternates | Quest That Change…. A field based story I wrote in 2005 for IRC ‘The Mystery of the Indian Village Water’ which is also available at http://www.source.irc.nl/page/26898: “..We met a 13-year-old girl Janglee and a boy, 7-year-old Kamal. Both are physically and mentally disabled, and could not even stand on their own for long. Janglee and Kamal cannot play with friends and they move around in acute pain in the limited world of their small hut. Kamal’s father works hard for US $1 a day and has spent US $200 (EUR166) for treatment in last few years with no improvement. My experience says that we need to establish a robust and functional water quality monitoring system on an urgent basis as there are hardly any evidences on sustaining water quality monitoring systems in the majority of Indian states. I have come across laboratories that are sometimes fairly equipped with water quality testing instruments, but there are two major issues we face which are related to getting timely and regular samples and the need felt by our functionaries on this front, except in extreme cases when they by-chance find severe problems of biological or chemical contamination. Therefore, laboratories equipped with high-end equipment’s will do less in such scenarios. As it has been seen the majority of the agencies focus on just providing equipment’s to the government laboratories, rather than focusing on capacity building and establishing monitoring networks. In states with district based laboratories, the laboratory technicians and assistants usually complain that they are not supposed to collect samples, but, are dependent on the respective Junior Engineers or villagers to get them and this is not a regular process of sampling. Given the importance of safe water and its effects on health and the overall socio-economic well-being, there should be mandatory provisions towards water quality monitoring in each water supply scheme or system. It may cost but, given the importance we should have water quality monitoring of each source on a quarterly basis. The institutional framework for the above should be framed accordingly and similarly the kind the laboratory and equipments should be based on the need of the area (e.g. affected with fluoride, arsenic, nitrate, etc.). Initially adequate financial support for such a programme should be given by the government and later with regular facilitation and technical support the communities could take the ownership. The responsibility of water quality sampling and monitoring should be given to the laboratory technicians/assistants and their performance should be evaluated based on the kind of work completed by them and also the head of the department (e.g. Executive engineer of PHED) should be made responsible for any discrepancy or poor performance at their end. Though we have an online water quality status portal developed by the Government of India, this needs further coordination, compliances and follow-up with state level offices. Each state should also have a separate water quality monitoring and surveillance system that is linked to national level data base and should be such that it can be accessed quickly by anyone for planning purposes. In water quality monitoring and surveillance programme, the MDWS needs to coordinate with the Ministry of Health and Family Welfare and the state level health agencies to help the affected communities. All doctors and their team members should be given adequate trainings on all water quality related issues and impacts. There should be a single, robust water quality monitoring system, and precaution should be taken that there should not be duplication of efforts in this direction. Towards this, agencies could also be assigned the responsibility of specific districts or states. The state and Government of India’s web portal should have all information related to different kinds of water quality issues, precautions, surveillance measures, mitigation measure, etc. This should also be available in local languages and based on the local problems in each state.